Prepare to have your funny bone tickled. 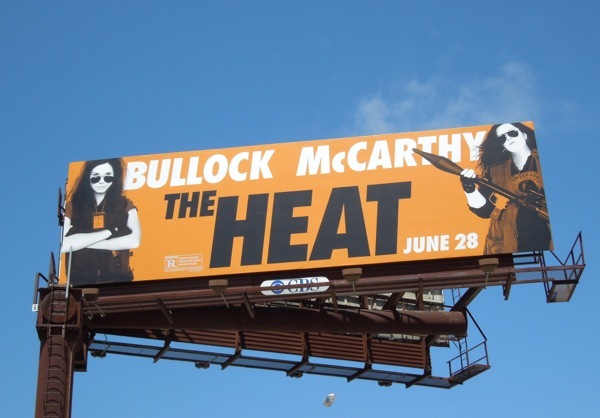 If anyone can do it, the pairing of Sandra Bullock and Melissa McCarthy in The Heat should be able to put a smile on your face. 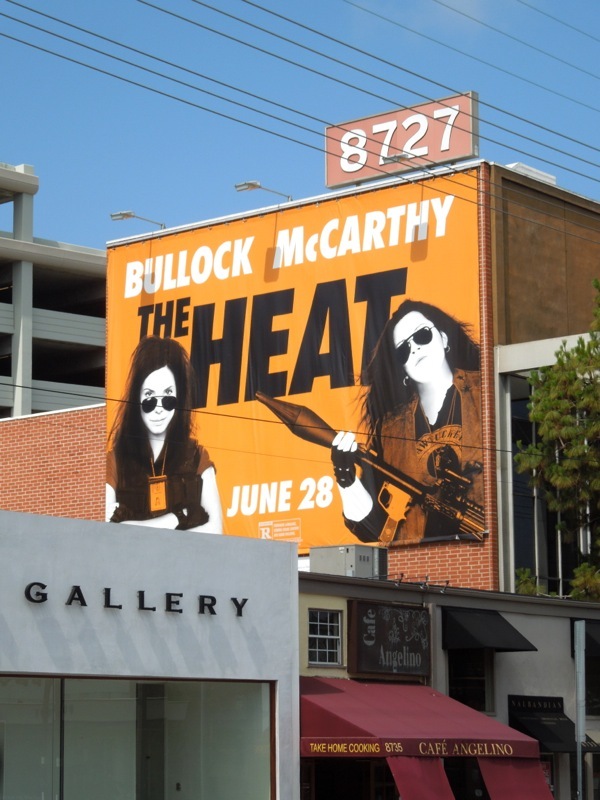 The Miss Congeniality and Bridesmaids stars team-up in this new cop buddy comedy, which sees Bullock's uptight FBI agent forced to work with McCarthy's tough Boston street cop in order to take down a ruthless drug lord. Get your bazookas ready as this movie looks like it'll be a real blast. 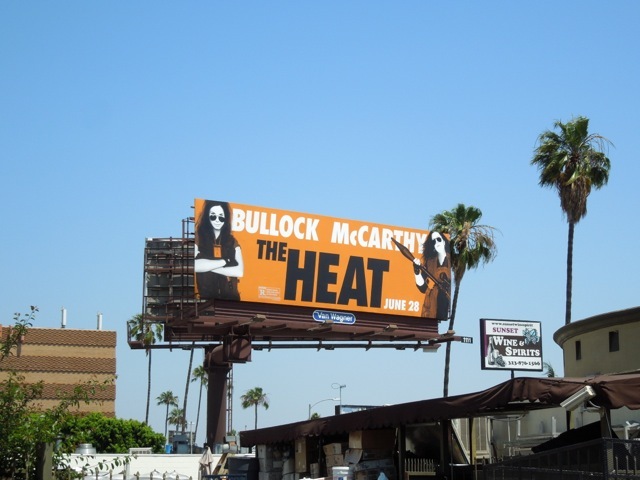 Daily Billboard really likes the clever colour design for these billboards which give the ads a distinct point of difference amongst the crowded L.A. skyline. 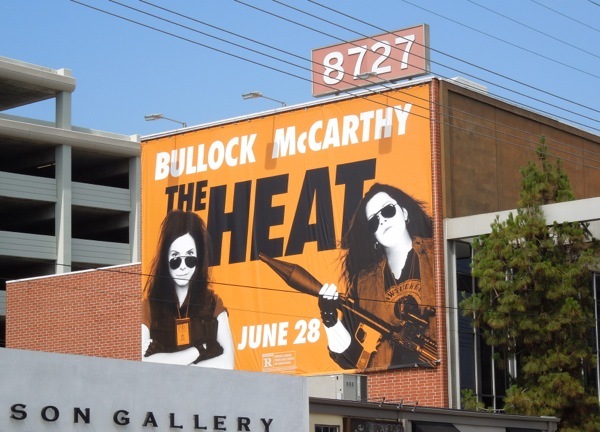 The standard landscape billboard for The Heat was snapped along Sunset Boulevard, whilst the larger format creative was spied along L.A.'s West 3rd Street on June 8, 2013. If you're a Melissa McCarthy fan, be sure to click through and check out these funny Bridesmaids movie billboards and Identity Thief movie billboards. 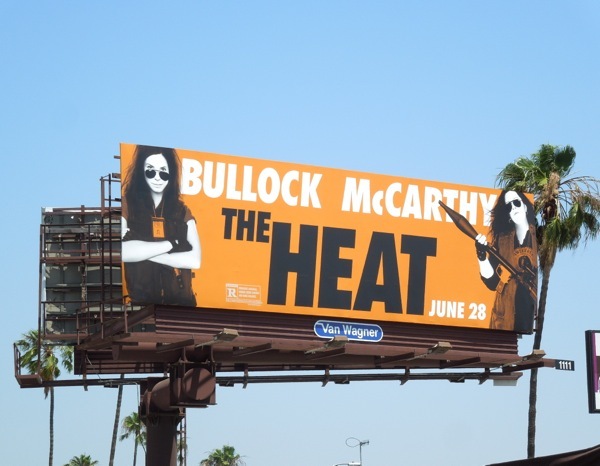 UPDATED: Here's another closer shot of the landscape billboard snapped along Santa Monica Boulevard on June 15, 2013. 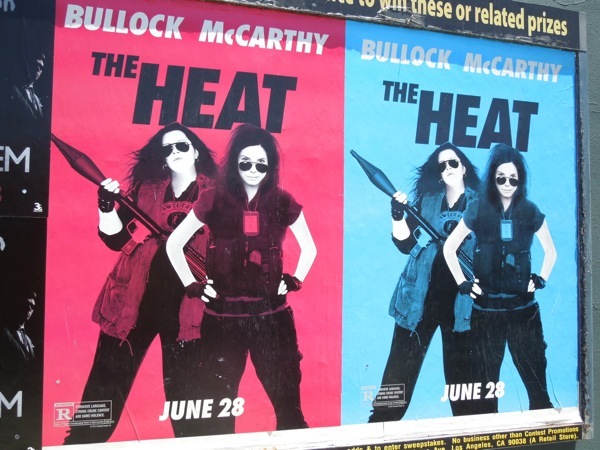 Plus check out these posters for the movie, snapped along La Brea Avenue on June 19, 2013, which cleverly illustrates how the design works fantastically in different colour ways.